The House of Mishima Lunar Calendar Publisher is a museum that introduces Mishima Calendar, which is said to be the oldest Japanese calendar printed with Japanese kana characters. In its day, this calendar had an impact on the whole of the Kanto area. In days of yore, this calendar was extremely popular, with the quality and the beauty of the design alone enough to persuade people to purchase it as a souvenir or year-end gift. 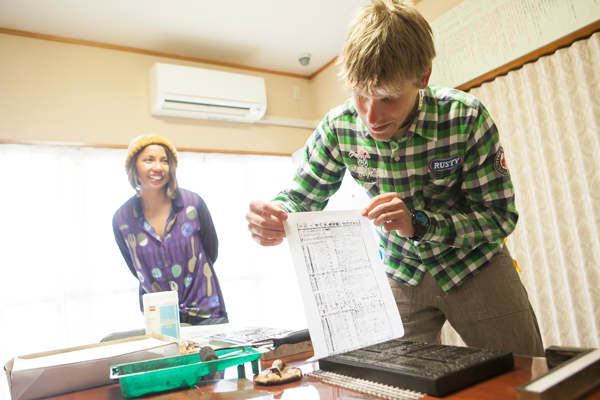 And, in this taster tour, participants will be guided through the historically precious exhibits and then able to try out some printing of the Mishima Calendar. 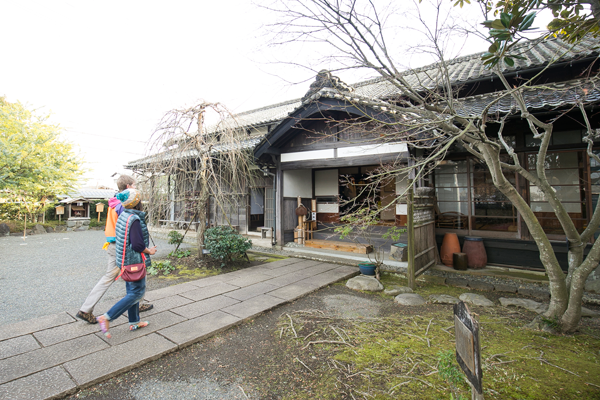 The museum is located in the home of the Kawai family, who for generations produced and sold the Mishima Calendar. 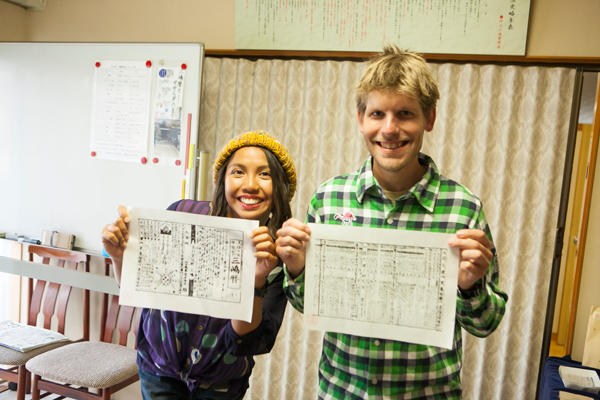 The building is more than 170 years old and is designated as a national registered tangible cultural property, so participants also get the valuable opportunity to view the design of such an old residence. So, strike the wood block gong hanging at the entrance to announce your arrival, and the guide will appear to lead you on your taster tour. 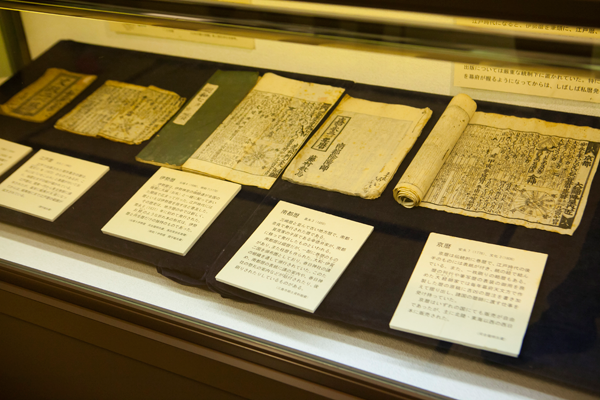 You will get to see historically valuable exhibits related to the Mishima Calendar. 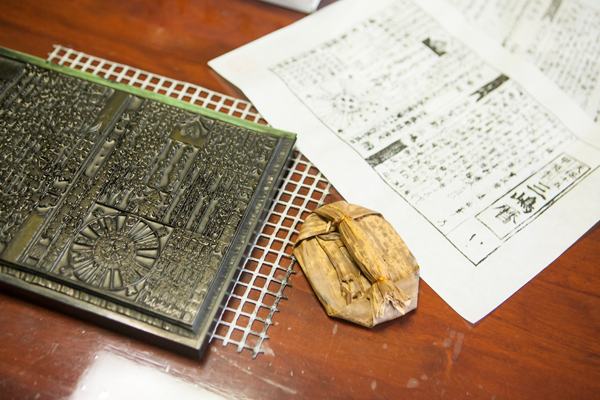 Then, when it comes time to try Mishima Calendar printing, you will be able to ink up the printing block, place the paper and then carefully rub the paper with a baren (rubbing pad). …to reveal you own completed Mishima Calendar! 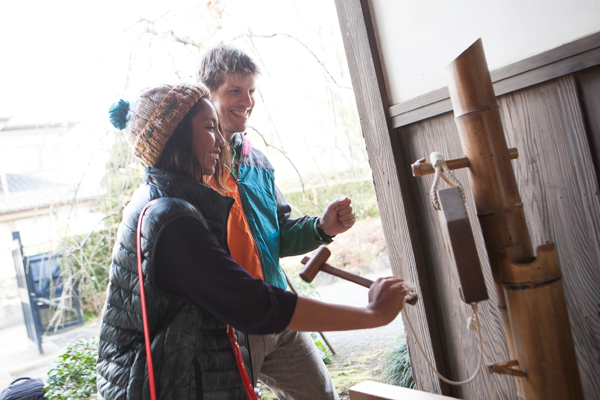 Why not give this taster tour a try, so that you too can have a souvenir of your visit and experience of Japanese historical culture?